Two months have passed since Flurry and his brothers defeated Black Bear'd and his pirate crew. Their route through Erminea is filled with danger every step of the way. Their journey home is delayed when they are ambushed by feline assassins intent on Flurry's demise. The cubs must think on their feet and work as a team to survive. However, the cats are the least of their worries. Little does Flurry know, the cats are in league with Isangrim the wolf. In the face of such a powerful adversary, Flurry wonders if he can prevail a second time. Join Flurry in his epic struggle over the forces of darkness as he teams up with the valiant cat warriors of Tikalico to protect his friends and bring everyone home to Ursus. Flurry and his brothers wake up adrift at sea. 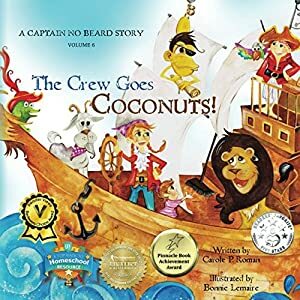 Before the cubs can solve the mystery of their arrival, they are flung into an epic adventure on the high seas. Reunited with Chingu the Protector, they embark on a mission to find Captain White Cloud and confront the evil grizzly bear pirate known to all as Black Bear'd. Their adventure is shipwrecked when they learn of an ancient evil gaining power and a secret army. It's a race against time to stop Black Bear'd and save the lives of those terrorized by his pirate crew. Flurry and his friends need to put aside their differences and work together to outwit one of the worst villains they have ever encountered. 12-year-old Abraham “Bram” Murray never realized how special he is. That’s because he’s clueless about his past, having bounced around foster care his entire life. Of course, his peculiar habits always raised eyebrows, like staying up all night and eating only red-colored foods like Swedish Fish. But Bram just figured he was different. He never imagined he was the world’s last vampire—or that he was being hunted. 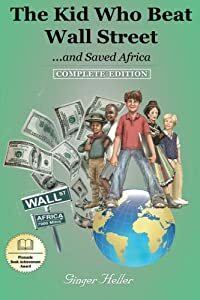 "The Kid Who Beat Wall Street...and Saved Africa," is a story that takes place on six different continents where our hero, Marco, invests in a gold mine stock, corners the market in corn, and makes over $500,000. That’s right, over half a million dollars. By the way, he’s only 12 years old and his parents have no idea. However, it is also the story of children in war torn Africa, of marauding gangs of thugs, burning and pillaging. It’s a story of disease, of the lack of food, clean water, and medicine. Marco, along with his pen-pals from all over the world, learns of the plight of these less fortunate children in Africa. A daring way is devised to come to their rescue. "The Kid Who Beat Wall Street...and Saved Africa," tells of courage, of adventure, and of how one boy can begin to save the world, one small step at a time. 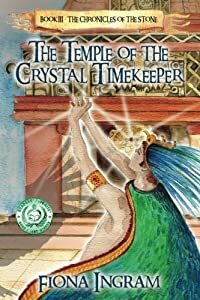 Join these young heroes on an adventure steeped in the mythology and legends of the ancient Aztec and Maya! 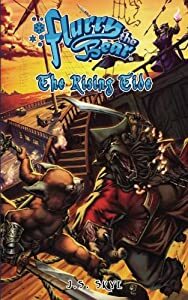 Continuing their thrilling adventures, cousins Adam and Justin Sinclair, with their friend Kim Maleka, are now hunting for the third Stone of Power, one of seven mysterious stones lost centuries ago. The third stone might be located in an ancient city, hidden in the depths of the Mexican jungle.When their small plane crashes in the jungle, Adam, Justin, Kim, and James are rescued by an uncontacted tribe. James, who is wounded, must stay behind as the kids, with only a young boy, Tukum, as their guide, make their way through the dense and dangerous jungle to find the city. River rafting on a crocodile-infested river and evading predators are just part of this hazardous task.Of course, their old adversary Dr. Khalid is close behind as the kids press on in search of the lost city of stone gods. But he is not the worst of their problems. This time Adam will clash with a terrible enemy who adopts the persona of an evil Aztec god, Tezcatlipoca, and is keen to revive the ancient tradition of human sacrifice. Adam, Justin, and Tukum must play a dreadful ball game of life and death and maybe survive. Will they emerge alive from the jungle? Will Dr. Khalid find the third Stone of Power before they do? The action is non-stop. The threat ever present. Family bonds will be tested, friendships broken, and faith questioned; the faith that good always triumphs over evil. The Spiritless return and press their advantage against Captain Brendan and his loyal crew of elves. 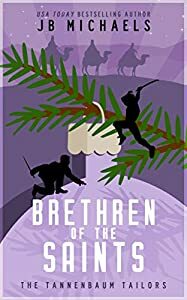 Ambushed, nearly defeated, the Tannenbaum Tailors face a threat they never could have anticipated with an origin that dates back over 2000 years. Are you ready for this thrilling action-adventure? Because your journey into this world will be exhilarating and unforgettable. The Brethren of the Saints have arrived. "Topaz and The Green Fairies" by Pat Frayne takes place in a magical world of green fairies, lovable animals, and a strong King Conjure Cat ruling over the desired land Knownotten. Bozel, a young green fairy must save his entire species from a treacherous storm that is threatening to destroy their island and its inhabitants. He embarks on a rocky journey, braving the desolate Barren Island, home to the black fisher bats. He makes friends and finds new species on his journey to find a new home for his people. Will King Topaz, Bozel, and the rest of the gang be able to rescue the green fairies before the island is swallowed by the great Slewnecky River? While reading this novel I had the recurring feeling of warmth and intrigue, a perfect combination for a bedtime story. The book reminded of me of a big book of classic children stories I used to have and the magical animals that lived in those pages. 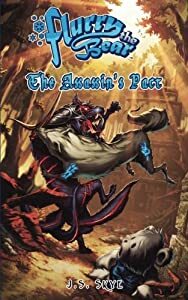 Though I thought that the story was stretched to a slower pace in some chapters, this book would be excellent for fantasy loving children around the ages of seven to twelve. Bozel is easy to relate to and I think anyone could see a part of themselves in at least one of the diverse characters. The written thoughts of the characters helped me empathize with the characters, as I believe many children will. I would advise readers to go in without any presumptions-I went into the book with the image of talking animals who acted like people. However, I was pleasantly surprised to find that the author added realistic animal behaviors to the characters making them feel more real. 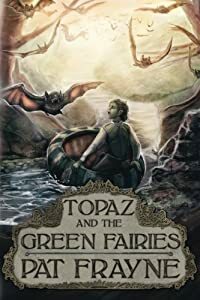 For those looking for an exciting story for their children, or frankly anyone who loves a fresh classical adventure, I recommend "Topaz and The Green Fairies" by Pat Frayne. "For once in his young life, he had a sense of self-reliance and what a responsibility that truly was. Whatever happened to him on this journey had the power to make him stronger. Or he could let it destroy him". Such are the thoughts of young Bozel, a pivotal new character introduced in Topaz and the Green Fairies, the third installment in the Tales of Topaz the Conjure Cat series by Pat Frayne. In this latest high adventure story, we journey to an island in the midst of chaos. Severe storms are threatening to obliterate the home where the Green Fairies have lived for generations. It is up to young Bozel to find help to save his people before they perish. Armed with little more than a blanket, ah and drawn map and a small bag of food, Bozel bravely sets out alone to do as he has been tasked. Along the way he encounters numerous obstacles and life challenging situations. Bozel must overcome not only his own personal fears and self-doubt but very real dangers as well. The story switches between Bozel's trials, to that of our old friend Topaz and the inhabitants of Knownotten Kingdom who are experiencing struggles of their own. Otis has been injured and is trapped in a desolate land where he encounters a sinister, ghost-like creature. When Topaz, Otis, Dooley and Daisy's paths finally collide with Bozel the race is on to formulate a plan to try and save the Green Fairies before all is lost. Topaz will be faced with the ultimate test of his strength, courage, and commitment to others. 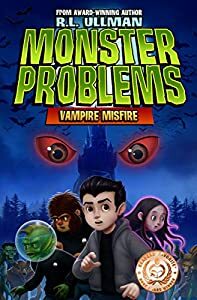 Pat Frayne has once again created captivating and memorable characters who not only show their flaws and weaknesses but also their grit and determination in the midst of adversity.This fun, fast-paced fantasy, about a land inhabited by mystical beings will be sure to capture the reader with all its exciting twists and turns. They are the Tannenbaum Tailors: elves charged with maintaining Christmas trees in homes around the world. Without the Tailors’ efforts, families might lose their Christmas spirit. And this year, one team of Tailors will be tested like never before. 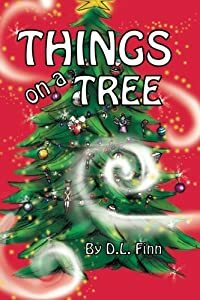 The job would be simple, but the Tailors find themselves facing a serious threat—the thieving Spiritless elves, already responsible for sabotaging the North Pole Home Tree, will do anything to gain control of the very thing that makes Christmas possible. Equally bad, Christmas spirit is at an all-time low in the Chicago home where Brendan’s assigned. The family’s mother even wants to take the tree down before Christmas Eve! To save Christmas, Captain Brendan and his Tailors will have to use every spirit-raising trick they know—and possibly even bend a few rules to pull it off. 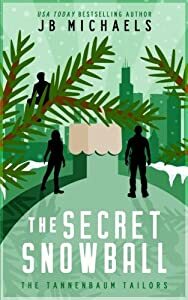 Combining holiday cheer with action and thrills, The Tannenbaum Tailors and the Secret Snowball reads like Raiders of the Lost Ark in a Christmas tree. What a way to spend Christmas Eve! Thirteen-year-old Aimee is sick and missing her dad, who died in a car accident last year. While the rest of her family are outside playing in the snow, she is alone by their Christmas tree. Aimee sighs as the tears begin to fall. She wishes she still believed in Santa Claus. Then she could ask him to change the last year. Yeah, right, she thought. She turns away from the tree, and falls asleep. Later that night, Aimee awakens to a strange noise. Clink! Clink! Clink! Her fever must be higher than she thought, because she can’t believe what she is seeing running down her purple blanket! But everything happening to her is very real, including the fact someone wants her dead. Aimee is thrust into a world of magic, wonder and greed. Her journey takes her from her snowy rooftop, to the streets of New York and the North Pole with the promise to return her father to her family. Who could she trust when things aren't always what they seem?